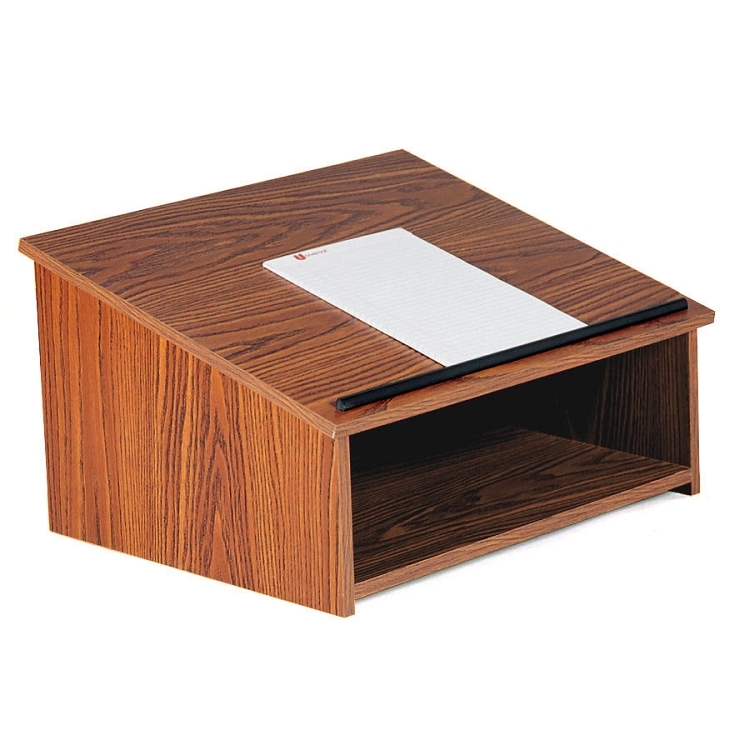 The 22 Lectern is a versatile and portable table top lectern that can be used on its own or as a floor lectern with the optional lectern base (sold separately). 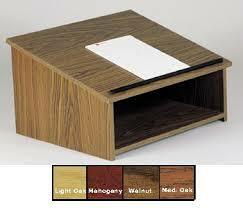 It is constructed of 3/4 inch stain and scratch resistant thermo fused melamine laminate on MDF. Paper/book stop included. 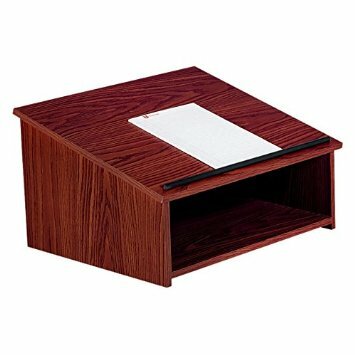 Competitive Edge Products, Inc. is an authorized retailer of the 22 Portable Presentation Lectern manufactured by Oklahoma Sound. Q: Does this fit on the other Lectern bases? 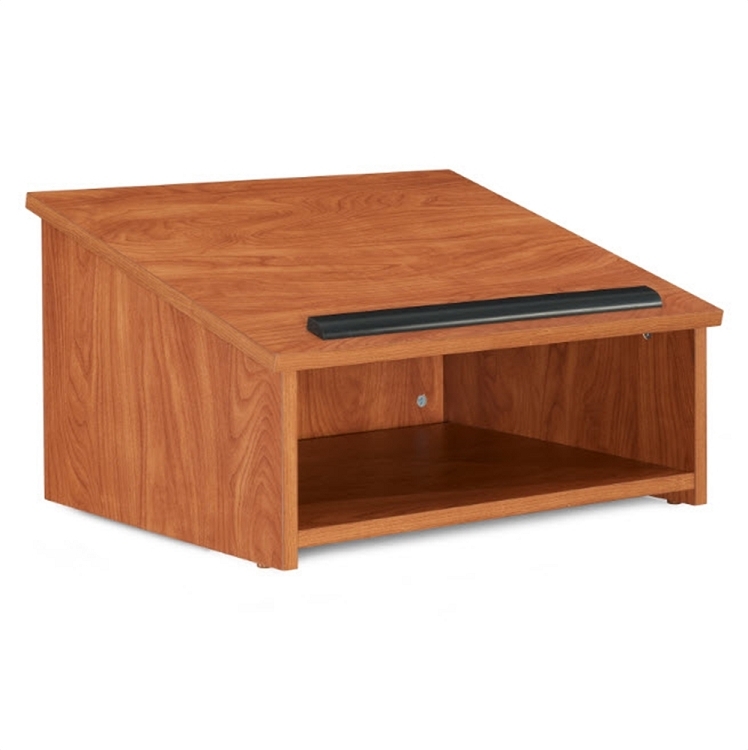 A: This is designed to go on a flat surface. 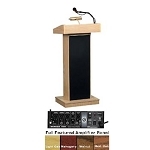 So, it will work whether you are using a different lectern base or a flat table. Fast Shipping: Orders for the Oklahoma Sound 22 generally leave the warehouse within 1-2 business days. Dimensions: 29" x 23" x 5"